Dominica, which bills itself as The Nature Island of the Caribbean, has launched its “ReDiscover Dominica Campaign” to encourage travellers to visit the island. Visitors, friends of Dominica and Dominicans can enjoy discounts on a trip to the island and, in doing so, help the country on its path to recovery. Dominica was hit hard by Hurricane Maria in September, 2017. Tourism officials have been working closely with industry players to reaffirm Dominica’s position as a desirable Caribbean destination. The destination is rebuilding and it is a great time for “nature lovers, meaningful travellers, adventure seekers, leisure travellers, wellness enthusiasts, educational travellers and others to visit The Nature Island,” tourism officials say. The ReDiscover Dominica Campaign offers deals on hotel accommodations and on-island activities and is running in all of Dominica’s major source markets, including Canada. The promotion features one free night on a minimum four-night stay at nine participating hotels. Guests can book four nights, yet pay only for three. To qualify for the free night, interested visitors must book between May 24 and July 31 using the promo code DOM2018 and travel between July 1 and Dec. 15. Adult visitors age 18 and over will be entitled to US$100 spending money in the form of coupon vouchers redeemable at 15 participating vendors and participating hotels. 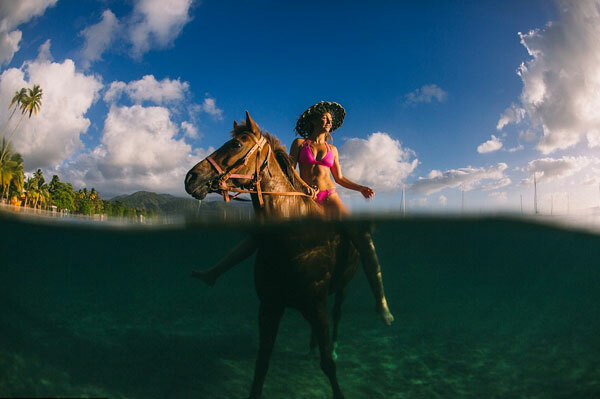 On island activities include dining, car rentals, horseback riding, island tours, underwater experiences, spa services and duty-free shopping. The campaign will be promoted digitally on all Discover Dominica Authority online channels and on regional and international trade partner’s platforms.